I was looking through some old car magazines when I came across this. 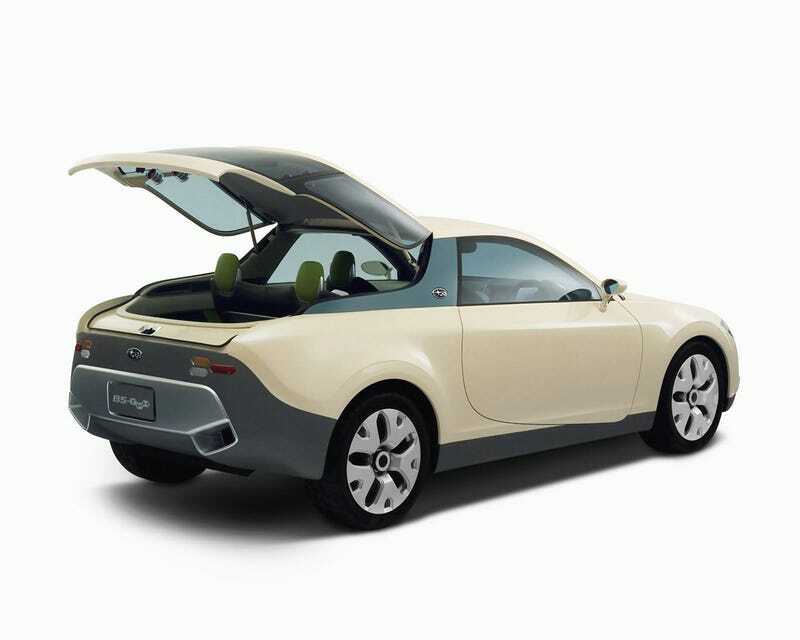 It’s a weird hybrid concept from 2005 when Subaru was trying to figure out how to make the boxer a hybrid. I thought I’d share. I’m guessing it came out around the same time as the original B9, because it has that weird pig-nose grille. It also doesn’t have door handles, so it’s basically a TVR. And because it’s a hybrid, it’s inherently eco-friendly, which means it has to have lime green alligator skin headrests. This seems like the original inspiration for the XV Crosstrek (which is a dumb name for a car). The proportions seem similar, as does the idea of having a hybrid boxer.